Who can forget the moment when Eowyn removed her helmet and declared, "I am no man!" and fulfilled the prophecy — destroying the Witch-King in the process? 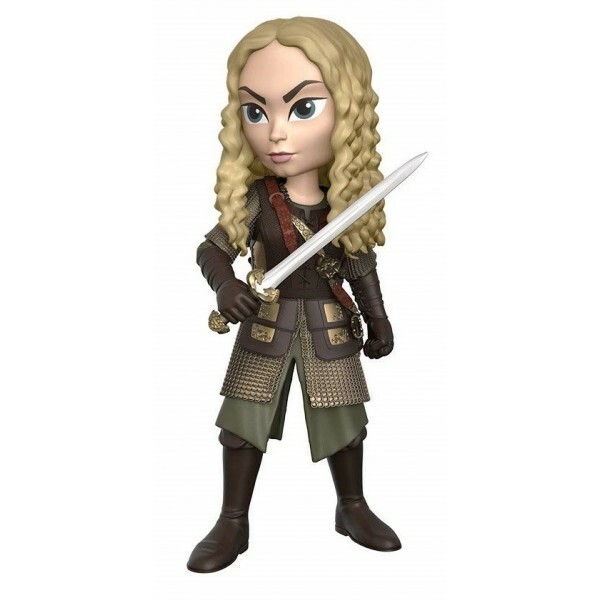 This 5" figure from Funko's Rock Candy line depicts Eowyn in her Rohan armor, sword in hand. With plenty of detail, she's perfect for display or for acting out all sorts of adventures! This figure comes in a collector's window box. For more stylized versions of female characters for your collection, visit our Funko Collection.